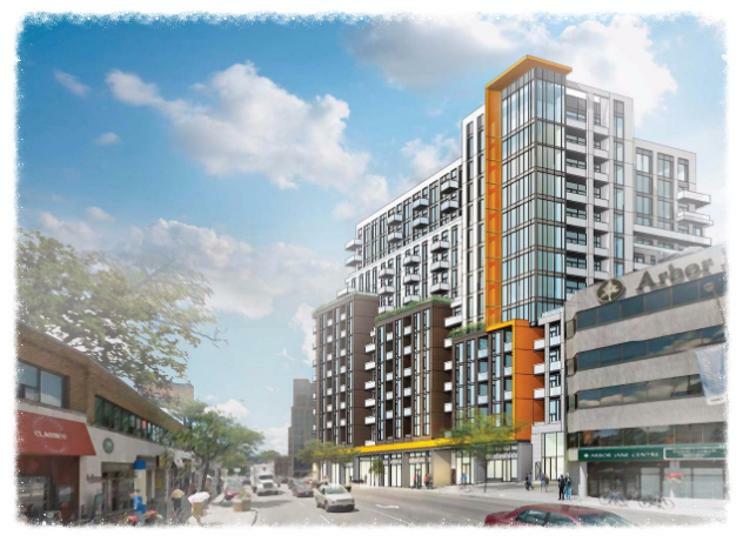 2452 Bloor Street West is a new mixed-use condominium development coming soon to 2442-2454 Bloor Street West and 1-9 Riverview Gardens in Toronto, Ontario by Plaza. The proposal consists of a 14-storey residential building designed by Quadrangle Architects Limited with a total of 244 dwelling units. 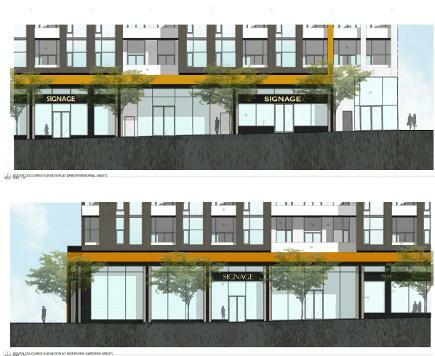 2452 Bloor Street Condos is being developed by Plaza which is one of Toronto's "most experienced residential condominium construction and development organizations". They have been in business since 1982 building quality communities all across the Greater Toronto Area. Below is a list of some of their residential projects. 1 Yorkville - A new condominium development with Bazis Inc. currently under construction and is selling located at 1 Yorkville Avenue in Toronto, Ontario with 58 storeys and 577 units. Available unit size range from 451 square feet to 797 square feet with sales for available units starting from $408,000. Designed by R. Varacalli Architect and scheduled to be completed in Spring o 2018. Amenities include concierge, fitness centre, yoga studio, dance studio, plunge pool, outdoor pool, sauna, hot tub, lounge, sun deck, fire pit, cabanas and party room with kitchen. 170 Spadina - A new mixed-use condominium development currently in pre-construction located at 170 Spadina Avenue in Toronto, Ontario with 17 storeys and 271 units designed by Quadrangle Architects Ltd.
Theatre District Tower - A new condominium development currently in pre-construction located at Adelaide Street West in Toronto, Ontario with 47 storeys and 475 units designed by Quadrangle Architects Ltd. Available unit size range from 458 square feet to 1,188 square feet. 50 at Wellesley Station Condos - A new condominium development currently under construction and is selling located at 50 Wellesley Street East in Toronto, Ontario with 37 storeys and 365 units. Available unit size range from 710 square feet to 1,283 square feet with sales for available units ranging in price from $465,000 to $939,000. Designed by Quadrangle Architects Ltd. and scheduled to be completed in June of 2017. Amenities include concierge, fitness centre, yoga and pilates studio, pool, party room, lounge, rooftop terrace and guest suite. Musée Condos - A new condominium development currently under construction and is selling located at 525 Adelaide Street West in Toronto, Ontario with 21 storeys and 440 units. Available unit size range from 509 square feet to 1,128 square feet with sales for available units ranging in price from $341,900 to $663,900. Designed by Quadrangle Architects Ltd. and scheduled for completion in Winter of 2016. Amenities include exercise room, spa, steam room, party room, lounge and courtyard. The Met - A new condominium currently in pre-construction and is selling located by Jane Street and Highway 7 in Vaughan, Ontario with 35 storeys and 531 units. Available units range in size from 510 square feet to 1,327 square feet with sales for available units ranging in price from $258,000 to $655,990. Designed by Quadrangle Architects Ltd. and scheduled to be completed in Winter of 2019. Amenities include a fitness centre, party room, media and gaming room. 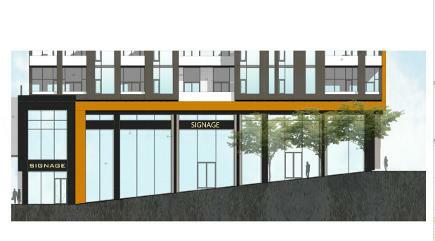 Register with us today for floor plans & price list for the 2452 Bloor Street West Condos by Plaza!